AndyWeather.com is a site I’ve maintained for about 10 years now. 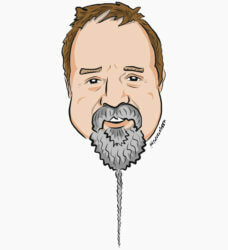 I use the site and related hardware, software, and services to test concepts and perform experiments. I then apply my experience in delivering Internet of Things (IoT) solutions for Enterprise Data & Analytics customers and for SSIS and Biml training, such as my upcoming course titled Fundamentals of Azure Data Factory delivered in cooperation with Brent Ozar Unlimited. There have been two major iterations of AndyWeather. I use weather data collected during the first iteration for training purposes at SSIS Academy and when delivering training to Enterprise Data & Analytics customers. 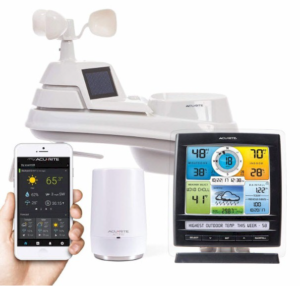 The Acurite Weather Station consists of an instrument pack plus a base station. The instruments collect weather measurements and transmit them to the base station. 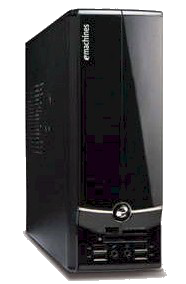 The base station is connected to an older e-Machine running Windows 7 Ultimate (32-bit) on 2GB RAM. 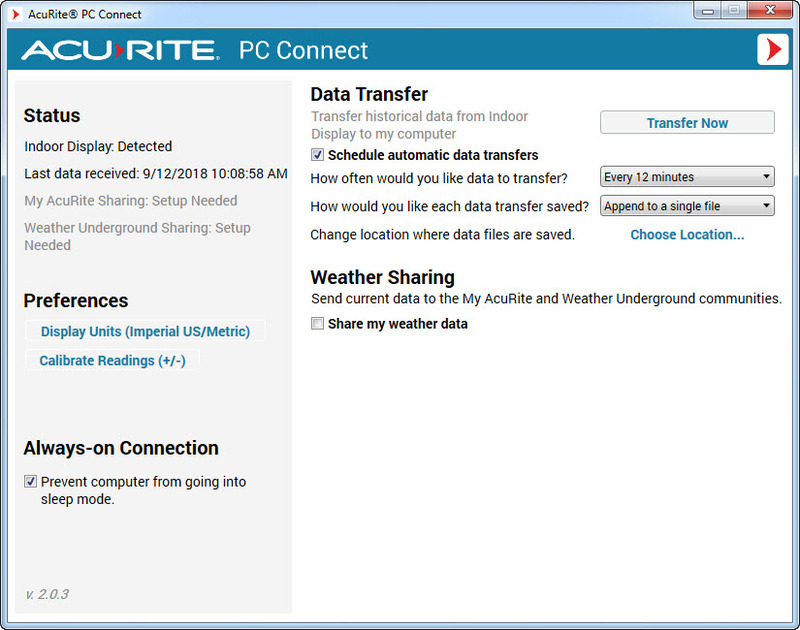 An Acurite application interfaces with the base station and the application stores data locally in a single CSV file. I wrote a very simple C# console application named “abt” (an acronym for “Azure Blob Transfer”) to transfer the CSV file to Azure Blog Storage. An Azure Data Factory pipeline that loads an Azure SQL DB staging table. 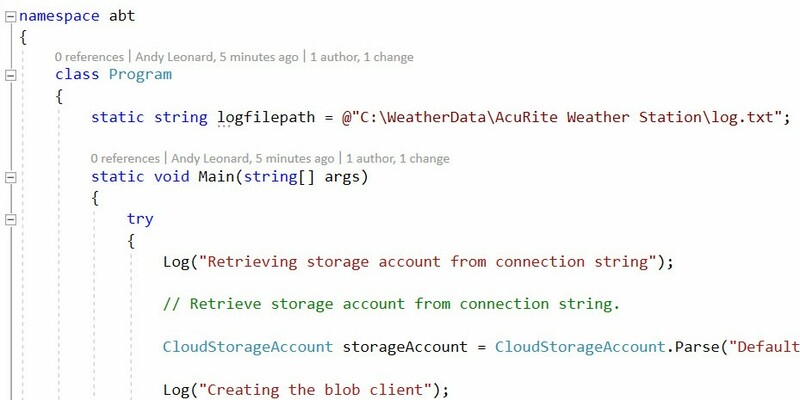 The AndyWeather website which reads the latest weather data from the Azure SQL DB staging table. 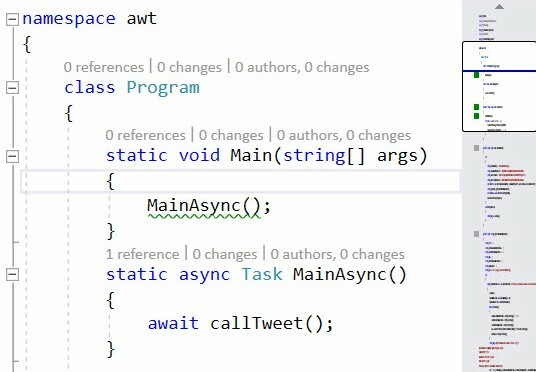 I wrote another very simple C# application named “awt” (an acronym for “AndyWeather Tweets”) that tweets updates to the @AndyWeather twitter account. The latest iteration began in early 2018 when I purchased an updated package of instruments and a new base station made by Acurite. So far, I like this station a lot. It was less expensive than the previous station and appears more rugged (again, so far – time will tell). I love this old machine! The PC Connect application allows me to configure how and when weather data is collected from the base station – which collects measurements from the instruments. The application lets me configure the units-of-measure and file location – and I can even share my weather data with Weather Underground. How cool is that? The CSV file in Azure Blob Storage is overwritten each time abt successfully executes. You can download a copy of the abt solution here. At the time of this writing, ADF version 2 is current. You can download the ARM template for the pipeline here. The biggest performance hit comes from executing the stored procedure against an Azure SQL DB, which can sometimes take 5-10 seconds to complete. You can download a copy of the awt solution here. I tell people, “It’s just a dumb little app,” but I really had fun building it. I learned a bunch, too! 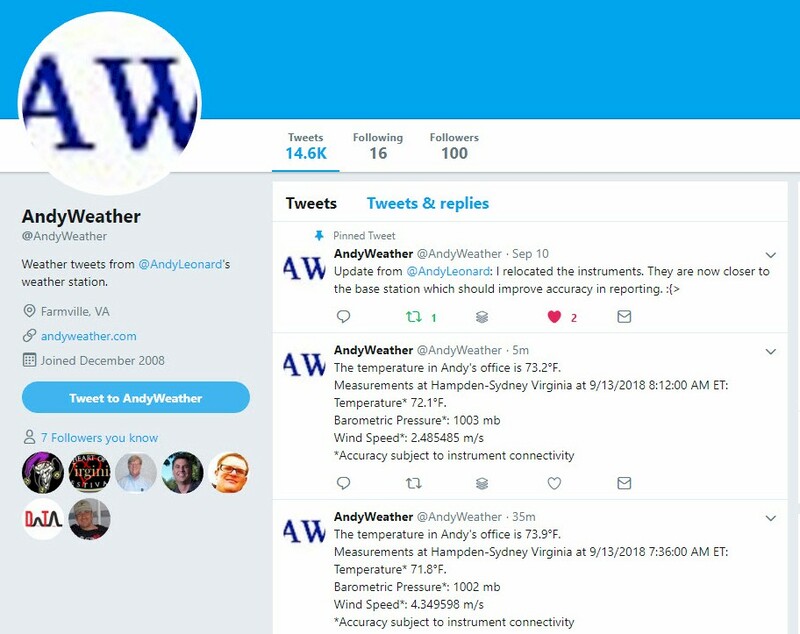 The AndyWeather IoT solution uses hybrid technology – on-premises instruments and servers, combined with cloud services – to deliver weather data to a website and Twitter account. It’s accessible from social media and the web from desktops and mobile devices. Just so you know, this isn’t everything I’ve built using the AndyWeather instruments. There’s a bunch more – some of which is still in the experimental phase. I’ll share more as time permits. But I want you all to know, I consider Azure a great big cyber-playground! Previous PostPrevious Announcing the Fundamentals of Azure Data Factory Course!